Apartment two rooms roof flat with panoramic roof terrace on the sea and on the Adriatic Coast, balcony equipped with whirpool, table and chairs and sun beds to relax to the sun. Family Apartment with two rooms 30 m² composed of 2 rooms with five comfortable beds, 2 TVs with flat screen, a DVD, kitchenette with a cooking corner with refrigerator, to prepare the baby meals directly in the room, air conditioning, safe. 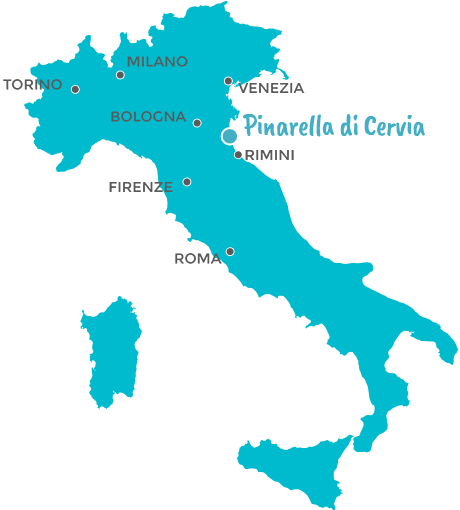 Fill out the form, you will receive the best rate for your holiday in Pinarella di Cervia as soon as possible!